MO'C show tonight and tomorrow night! 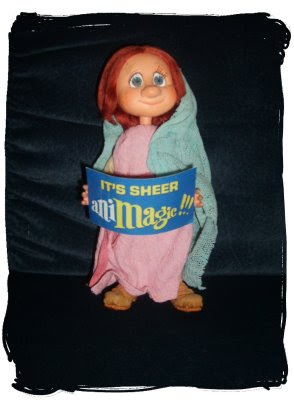 www.screen-novelties.com to restore OCTAVIA from THE FIRST CHRISTMAS (1975). More to follow soon! They restored the SANTA & RUDOLPH figures that have been touring the country. He's got a Gorilla for sale! MAGILLA GORILLA for sale! Won't you buy him, take him home and try him? Gorilla for sale. Valentina models her new CLANDESTINE Halloween hoodie outside of FALL OUT BOYS Pete Wentz's store CLANDESTINE. Turns out my old rock n' roll hairstylist BEN (seen on BRAVO's SHEER GENIUS) now does cuts at the store! 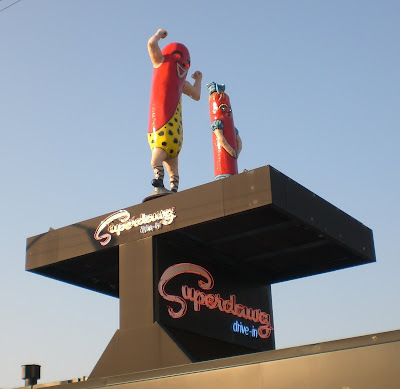 Finally found the SUPERDAWG Drive-in on the North Side of CHICAGO! It is at Elston and Devon! They have cool graphics on their wrappers and cups and a wonderful 1960's style sign! There is also a small SUPERDAWG at Midway Airport. 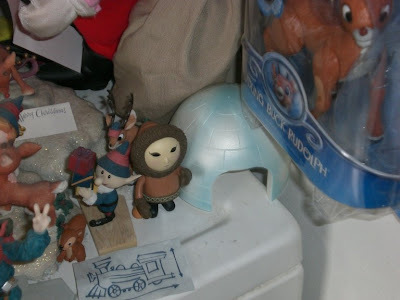 Kevin Kriess at http://www.timeandspacetoys.com/ tells me the ESKIMO and IGLOO set was scarce. One to a box and is very collectible.